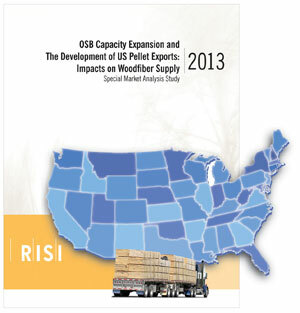 OSB Capacity Expansion and the Development of US Pellet Exports - Impacts on Woodfiber Supply - Fastmarkets RISI - Objective Insight. Better Decisions. 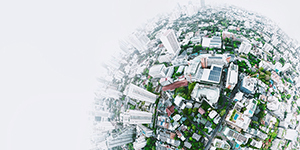 Examine the impact of a sustained housing recovery on the demand for OSB in North America, focusing specifically on the US South where more than 50% of US and Canadian OSB capacity is located. a detailed analysis of the expanding OSB market and developing US Pellet export market and their projected impact on the fiber market in the US South. Revealed through a series of charts and data in a slide presentation format, the study clearly shows how much additional OSB will be needed to meet the expanding demand as the housing market continues its recovery. It also indicates where this OSB will come from: imports, mill restarts, mill enhancements, and potential greenfield mills. The study then looks at whether wood fiber availability will become an issue as unidled OSB mills, new potential OSB mills and the developing US pellet market compete for resources. To complete the picture, the study examines the many end-use products competing for the same fiber in the US South: wood pulp, non-structural panels, OSB and wood pellets. It examines whether wood fiber supply in the US South will hinder potential OSB capacity expansion. It also analyses how increased fiber demand will affect the fiber paying capability of each end-use market. Where will the capacity required beyond announced restarts come from? How many mills will likely be restarted beyond those already announced? The study is available online as a presentation by the study author. It provides you with a concise, easy-to-digest analysis of how OSB capacity can be expanded to meet demand. Additionally, all of the data used in the development of the study will be available in spreadsheet format. This will allow you to manipulate the data yourself and see how the growing demand on wood fiber will affect your business.